The Waukegan pedestrian accident attorneys of Rosenfeld Injury Lawyers LLC work tirelessly to find justice for those who have lost loved ones or suffered catastrophic injuries at the hands of negligent drivers. When you’ve been struck by a vehicle while crossing the street or walking on the sidewalk, the chances that you will endure life changing injuries are high and it is only fair that you are able to recover fair compensation to pay for medical expenses, lost wages, adjusting to a lowered quality of living and more. We are prepared to help you hold the person at fault for your injuries accountable and to secure that which you are owed on your behalf. The success of your case depends on your ability to prove that the driver was at fault for your injuries and while it is important to collect as much evidence immediately following an accident, your primary focus is obviously going to be on receiving the immediate medical attention you require. Some of the ways we can gather the evidence we need to prove fault include the following. Obtaining police reports detailing the events leading to the accident and all of the witness accounts, including information on the witnesses themselves. We may contact the witnesses at a later time to see if we can learn any new information that they may not have provided at the time of the accident and the other details in the police reports will let us know where to focus our investigative efforts. Requesting access to cameras and other recording devices in the vicinity of the accident. Many intersections now have traffic cameras and your accident could have taken place near a store or building that is monitored through a closed circuit security camera system. The information we can glean from these recordings is invaluable as video evidence cannot be disputed. Send a team of accident reconstruction specialists to the scene of the accident. This team can help recreate the events both before and after the accident. Things that we can learn from accident reconstruction include the trajectory of the vehicle and its speed, which would indicate whether the driver was distracted or made any effort to avoid the accident. Obtain the driver’s phone records to determine if there was a call in place at the time of the incident or whether he or she was texting while driving. Using the phone while driving is extremely dangerous and against the law, so proving that a driver was distracted can establish fault. Using 911 call information to put together events and help us investigate further. Like video evidence, the recorded 911 calls of people at the scene can offer nearly irrefutable evidence of the manner in which events occurred. Producing a three dimensional recreation of the accident that can be presented to the court when establishing our argument to a judge and jury. Once we have determined that the driver is at fault for your accident, we will open up a dialogue with his or her insurance company. Since the insurance company is often the primary source of compensation, we pursue this avenue first, but also recognize that policy limits may make it impossible to recover all of the compensation you are entitled to receive. When this happens, we look in the following directions. Your own auto insurance— we may be able to recover compensation through your insurance by using the underinsured or uninsured clause to make up for any gaps in the driver’s coverage. This is one way that we can negotiate a settlement as well as it spreads the burden to multiple companies who would be liable for less overall while covering the total. Your health insurance— for the same reason above, we can leverage your health insurance policy to cover costs that were not covered through other avenues so that you are able to cover all of your expenses. The assets owned by the driver— should we learn that the driver has assets that can be used to pay off his or her liability to you, we will look at filing a lawsuit against the at fault party against those assets. This is usually a last resort, as we will look to the insurance companies first, but it is a viable way to make sure you are awarded the damages you deserve. Rosenfeld Injury Lawyers LLC is a leading advocate on behalf of those who have lost a loved one or been severely harmed in an accident. To learn more about how we have helped thousands of people just like you and what we can do on your behalf, we invite you to have your case reviewed free of charge. 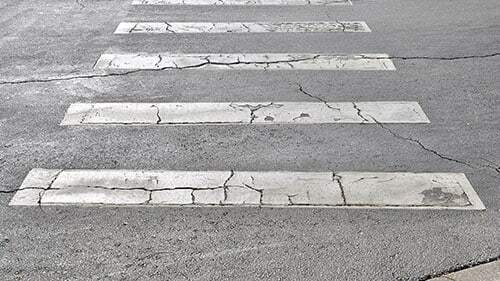 Contact us today to be connected with an award winning Waukegan pedestrian accident attorney so that we can review your legal options together. If we cannot recover damages on your behalf, our services will cost you nothing.